The Pocket Rocket is based on my own road bike. It’s designed around a 650c wheelset for a smaller rider. I believe that smaller riders (aprox <165cm) shouldn’t have to compromise when it comes to a top end road bike. A 650c wheelset means the frame geometry can be designed to perform as well as larger road frames do with standard 700c wheels. Toe over-lap can be much reduced or completely avoided. 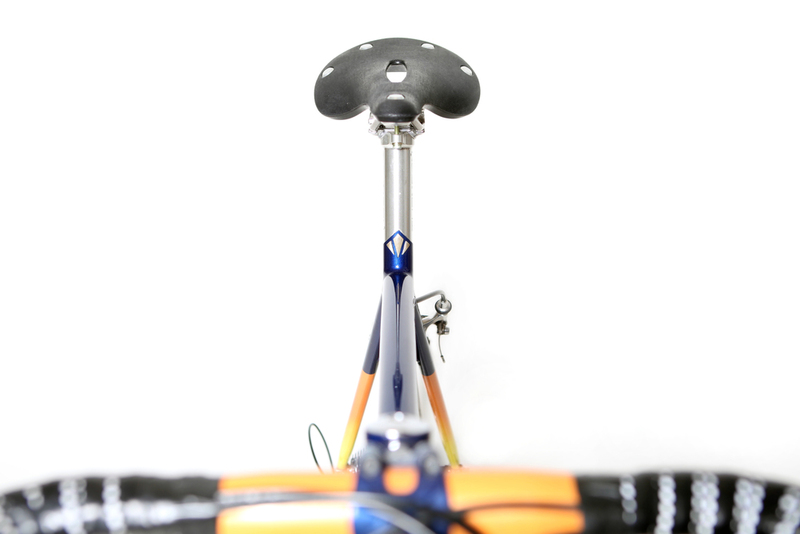 A well proportioned head tube and frame means the bike not only looks great, but also allows a decent saddle to handlebar drop, allowing for a more aero position. Plus the optimum wheel to frame size ratio makes for a better handling bike and a more efficient ride. All this with a stand over height that wont have you wincing! 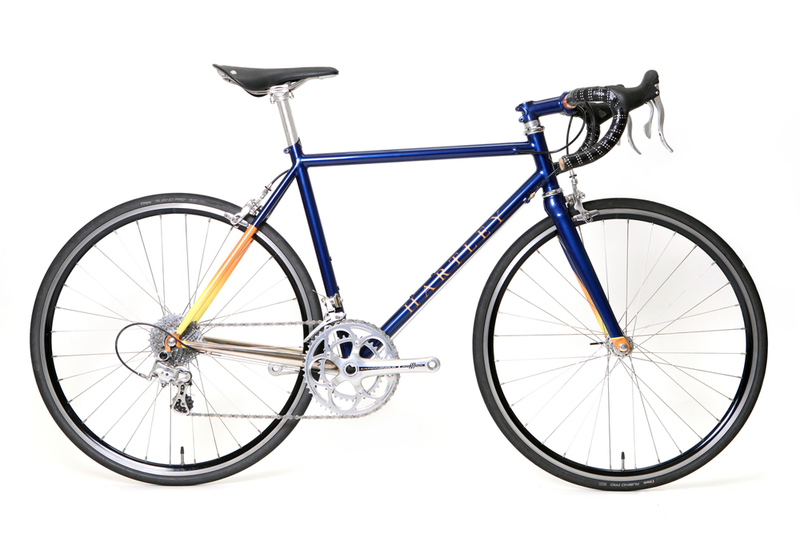 The Pocket Rocket frameset is built from Columbus Spirit tubing with XCR stainless chainstays, with a Pro-Lite carbon fork as standard. The Pocket Rocket comes with bosses for 2 bottles and mudguards and can be built up with your choice or components. 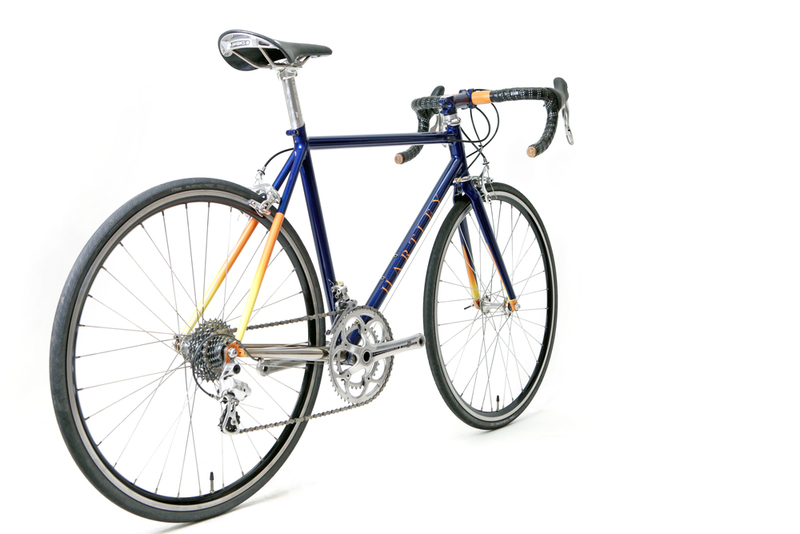 Tubing: - Columbus Spirit for Lugs main triangle with Columbus XCR stainless steel chainstays (mirror polished). Groupset and Finishing Kit: - Campagnolo Athena 11sp Group, Bars and stem Cinelli Dinamo - custom painted, Seat post Thomson Elite, Saddle Brooks Cambium C17s, Bar Tape Michaux Club in black leather. All components were selected to compliment the overall look, fit and performance or the bike. Paint: - Custom paint work in metalic midnight blue with pearl orange and yellow fades. Name etc. all in paint, no decals. Forks, stem and bars painted to match. Details: - Internally routed rear brake cable. Solid silver details hand cut and brazed onto frame - inc. head badge, seat cluster and down tube. 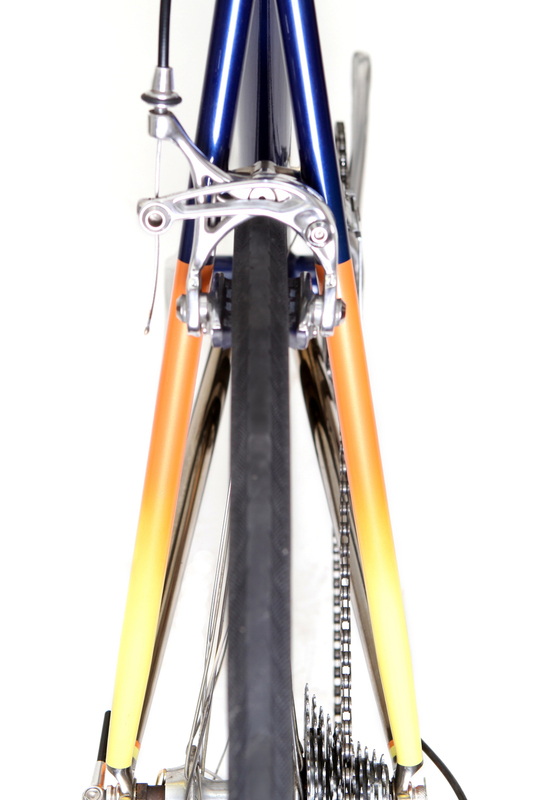 Seat cluster and down tube details made to mirror hand pierced bottom bracket lug ports. 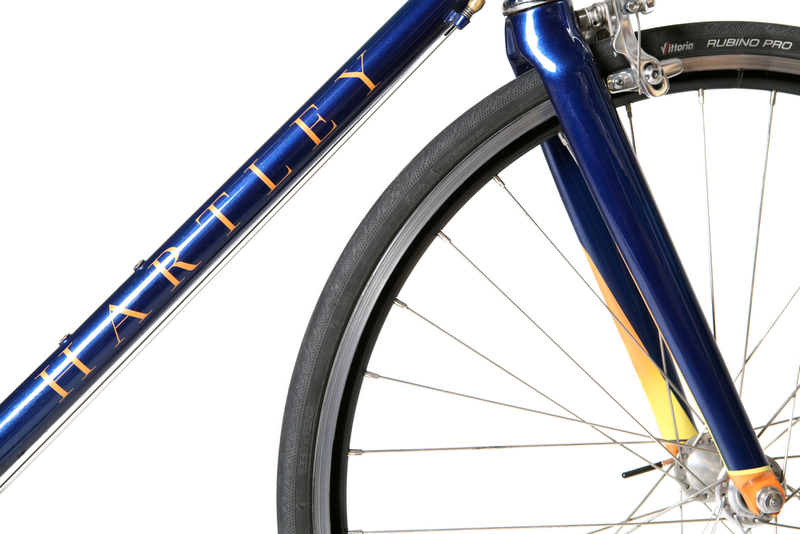 All Hartley Cycles custom frame builds and bespoke bicycles are handmade in London with great care and attention by Frame builder Caren Hartley.